Each year at Easter, Thanksgiving, and Christmas, EChO provides all the necessary items for clients to prepare a full holiday meal for their families at home. At Easter, we provide hams, at Thanksgiving turkeys or turkey breasts are provided and clients have a choice between a ham or turkey for Christmas. The meal will also include all the sides ready to be prepared at home to pair with these main dishes. 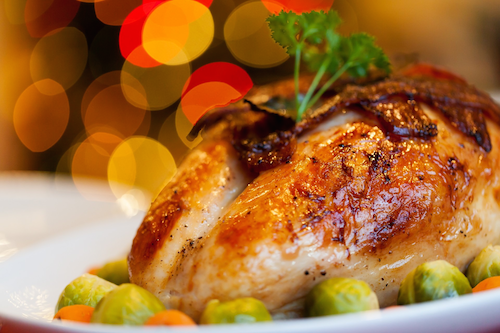 Our goal is to provide those items that will assist our clients in having a worry free, full holiday meal. If you have any further questions please call 303-670-1786 or send us an email at info@evergreenchristianoutreach.org. You will help EChO by calling 303-670-1976 two weeks prior to Easter, Thanksgiving, and Christmas to sign up for a holiday meal. Your generous support of this much needed and appreciated program makes the holidays special for needy families and individuals in our community. Please consider making a donation today to support an upcoming holiday meal. Thank you for caring about the lives of others through your generosity and financial support. If you have any questions or concerns, please call 303-670-1796 or email us at info@evergreenchristianoutreach.org.